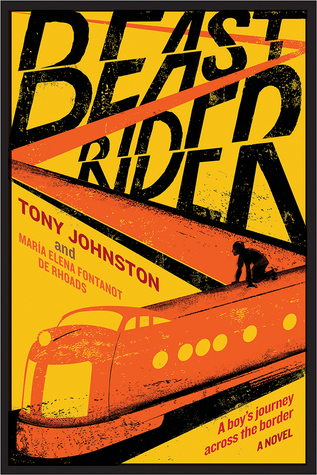 Beast Rider, A boy's journey beyond the border by Tony Johnston and Maria Elena Fontanot De Rhoads; Amulet Books, 159 pages ($17.99) Age 12 and up. This haunting, heart-wrenching tale of one boy's dangerous journey from his home in Mexico to reunite with his older brother in Los Angeles explores the bonds of family, the ties of home, and the desperate longing that might drive someone into such a perilous undertaking. Twelve-year-old Manuel has spoken by phone to his brother Tõno but has not seen him for four years. Their mother is dead; Manuel lives with his father and grandmother in a rural village, and the family is so poor he must wangle a way to secure a pair of shoes and steal his father's ragged sweater as he departs in secret, to ride "The Beast," the dangerous freight train that will carry him and so many others to the border. Beautifully told in Manuel's voice, the novel has a vivid immediacy, a pulsing beat as it depicts the danger in simply safely getting aboard, the roar of the train, the acute physical discomfort and real dangers of the journey as he encounters robbers, hostile police officers, a violent gang. He also encounters kindness from some fellow travelers and villagers along the way. But Los Angeles is not the paradise he imagined, and he finds himself longing for home, for the earth and sky and growing things. This fine and truly timely novel is a collaboration between author Tony Johnston, who lived in Mexico for more than 15 years, and Maria Elena Fontanot De Rhoads, a Mexican psychotherapist who specializes in childhood trauma. 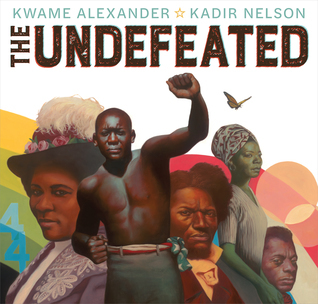 Kwame Alexander's stirring poem and Kadir Nelson's powerful portraits are an ode, a hymn, an anthem of black life in America, with the thunder and solemnity of a sermon, the soaring grace of a celestial choir. It opens with "this is for the unforgettable/ The swift and sweet ones/ who hurdled history/ and opened a world/ of the possible" with a closeup portrait of Jesse Owns leaping across the page. There are tributes to the "unflappable" (boxing champion Jack Johnson), those "who shine their light" (artists and writers including Romare Bearden, Jacob Lawrence, Zora Neale Hurston and Langston Hughes), "the unafraid" (black soldiers during the Civil War). Particularly powerful are the pages devoted to the "unspeakable," a devastating double-page illustration of the middle passage, portraits of the little girls killed in the Birmingham church bombing, a painting of flowers and teddy bears and memorials to Sandra Bland, Michael Brown, Tamir Rice and Trayvon Martin. Alexander began writing the poem in 2008 as a tribute to his second daughter and to newly elected President Barack Obama "to remind Samayah ... and all of you ... "to never, ever give up, because as Maya Angelou wrote, 'We may encounter many defeats, but we must not be defeated.'" This is the first book from new imprint Versify curated by Alexander with the mission to "change the world, one word at a time." The talented Lisa Graff pulls off a real sleight of hand, offering memorable characters and genuine emotional heft in this colorful tale of a 12-year-old girl traveling the country with her psychic medium-aunt. CJ (Caraway June) is an important part of her Aunt Nic's team, serving as tour bus navigator, compiler of emails for the newsletter and firm believer in her aunt's mission. 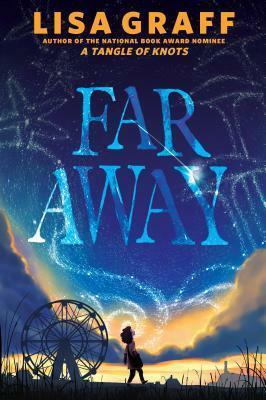 CJ understands why grieving people are so eager to hear her aunt's communications from their lost love ones in the "Far Away": Aunt Nic is the only way CJ can talk to her mother, who died just hours after she was born. Through Aunt Nic, CJ experiences the love of a mother who calls her "seedling" and offers advice from beyond. When Aunt Nic tells her she won't be able to talk to her mother anymore, CJ is determined to maintain communication and enlists a new friend to drive to her mother's hometown in search of the perfect physical object to keep her mother tethered to Earth. There she stumbles upon a truth that threatens to upend everything she believes about her family and her past. Graff is the author of several terrific novels for this age group, including "Absolutely Almost" and "A Tangle of Knots," which was long-listed for the National Book Award in 2013.